On May 18, 2017, the FCC adopted a notice of proposed rulemaking to the public titled “Restoring Internet Freedom.” The agency proposed to reclassify broadband Internet service as an information service, reversing a 2015 FCC decision regulating broadband more stringently as a telecommunications service. At the heart of the proposed rule change was the concept of “net neutrality,” the general principle that owners of the networks that compose and provide access to the internet . . . should not be able to discriminate against content provider access to that network. Opponents of the proposed rule argued that the agency’s proposal would eliminate net neutrality and allow internet service providers to discriminate against content providers. 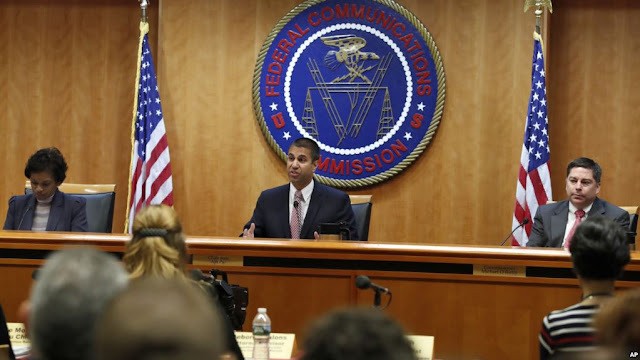 There was enormous public interest in the proposed rule and around 22 million comments were submitted electronically to the FCC by the close of the comment period. A significant percentage of the comments received by the FCC regarding its proposed rule were submitted by bots. A study by the Pew Research Foundation determined that 57% of the comments were submitted using either duplicate or temporary email accounts, and that 94% of the comments were submitted multiple times. As many as 75,000 comments were submitted in the same second, and these comments often contained the same or very similar content. Some of these automated messages originated from Russia. The agency received half a million comments from Russian email addresses. The New York Times Company submitted a FOIA request to the FCC, seeking the IP addresses, timestamps, and comments. The FCC declined on the basis that doing so would compromise its security, while it also cited privacy concerns for the commenters. Over the proceeding months, which included dialogue between both parties, the Times pared back the scope of its request considerably. By 31 August 2018, it was only seeking a list of originating IP addresses and timestamps for comments, and a list of user-agent headers (which show a user’s browser type and other diagnostic details) and timestamps. The requested lists were separated to address security concerns. Nevertheless, the Times was unable to get the data it sought, so it filed a lawsuit to compel the FCC to disclose said data pursuant to the Freedom of Information Act.